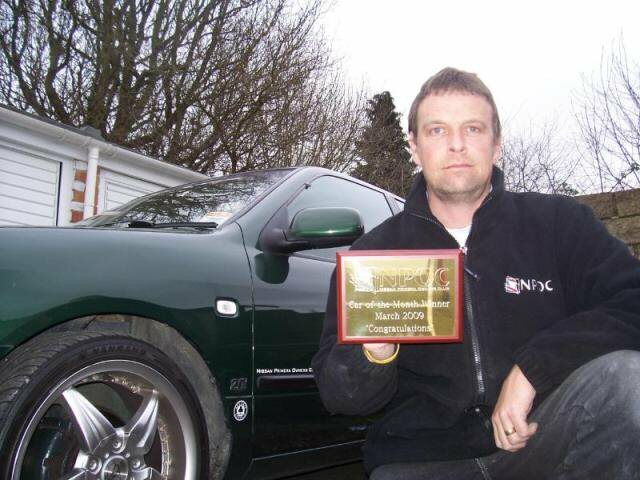 Congratulations on winning March 2009 COTM Paul, you are our latest member to win the legendary COTM trophy and see your Nissan Primera immortalised into the NPOC History Book. How does it feel? I am really honoured and shocked that I was chosen for this, as with so many awesome people and cars here, I didn't even consider myself to be in the running! Before we discuss your car, let's talk about you the owner. Tell us a bit about yourself, what you do and what you like etc. OK, contrary to popular belief my name isn't Pete or Dave.. It's actually Paul! I'm 42, married to Alex and have 3 boys: Chris 18, Nick 15 and Ben who is 14. I live near <? : prefix = st1 ns = "urn:schemas-microsoft-com:office:smarttags" />Reading in Berkshire but was raised in Scotland near Loch Lomond. I work for 'The Plastic Surgeon' Monday to Friday, working on plastics, GRP, woods and laminates (usually on building sites where other trades have damaged stuff)... I can fix it! At weekends I am a 4x4 off-road driving instructor! 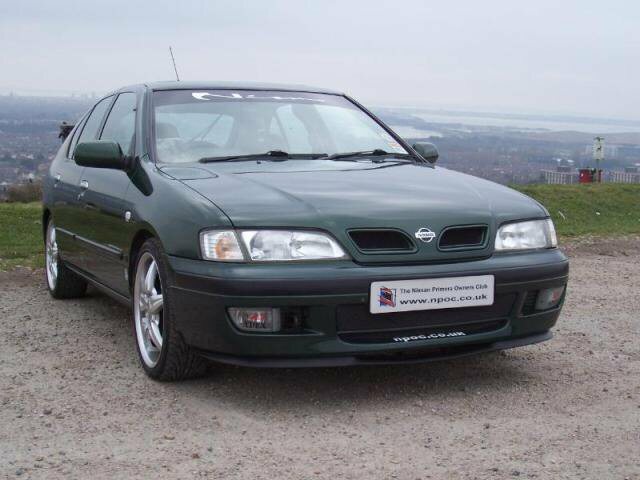 How did your Nissan Primera ownership start out? 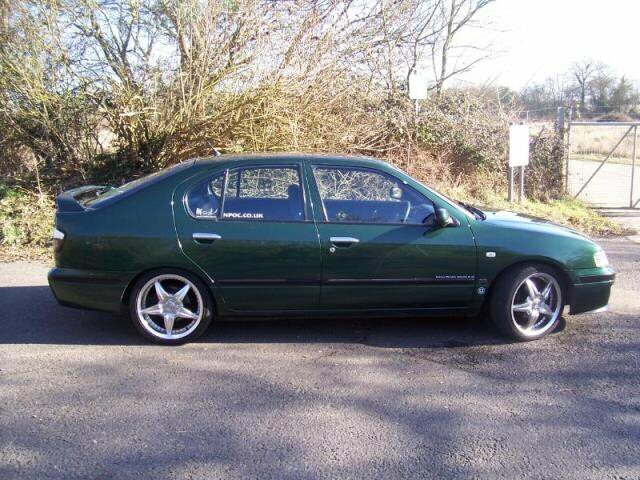 Were you looking to buy a Nissan Primera, or was it freaky fate that played a part? To be honest I wasn't even looking for a car at all. I was going camping in Wales and a couple of days before I went, I realised the MOT had expired on the family car! A friend of mine had just got a new car and had the Primera for sale and offered me the use of it for the weekend. 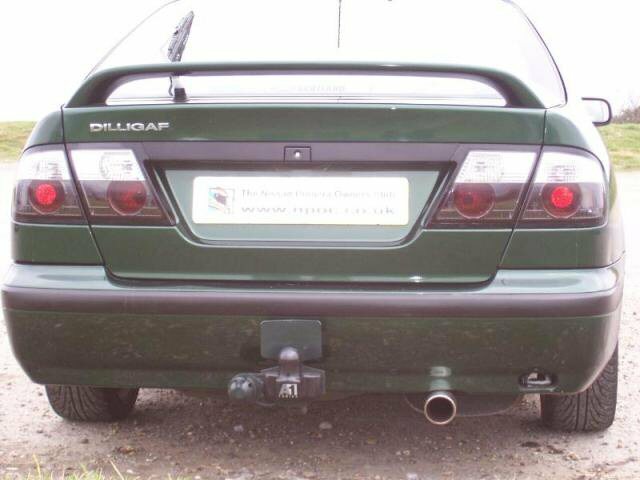 Well after a trip down the M4 and a bit of country laning, I fell in love with the comfort and handling and on retuning the keys on the Sunday evening, I told my mate that 450 odd miles was one hell of a test drive but I`d take the car! 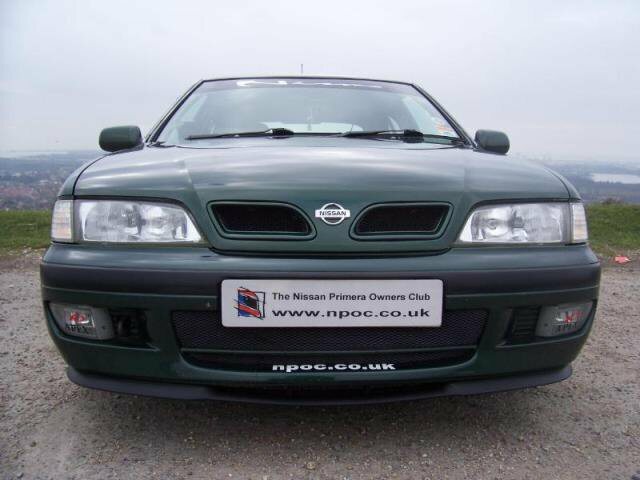 How did you find the Nissan Primera Owners Club and what keeps you here? I was just browsing the web looking at various sites when I came across NPOC, I lurked in the background for a bit then decided to join up. What keeps me here? The people, the cars, the meets and Norms jokes are all awesome and now after being here a year, I'd feel lost without it! 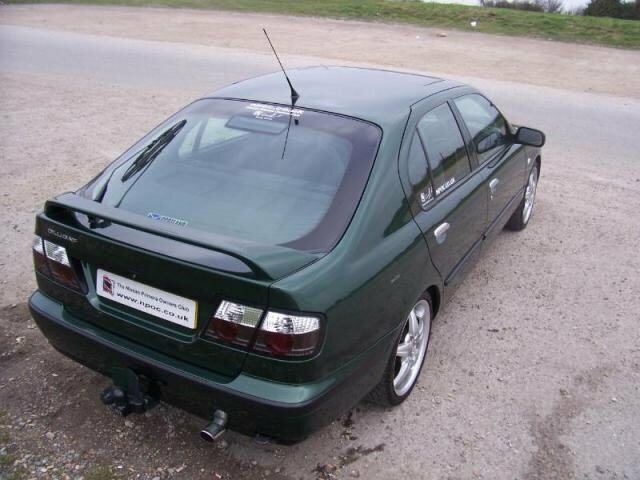 When you bought your Primera, you made a public statement about keeping it standard! So what happened? 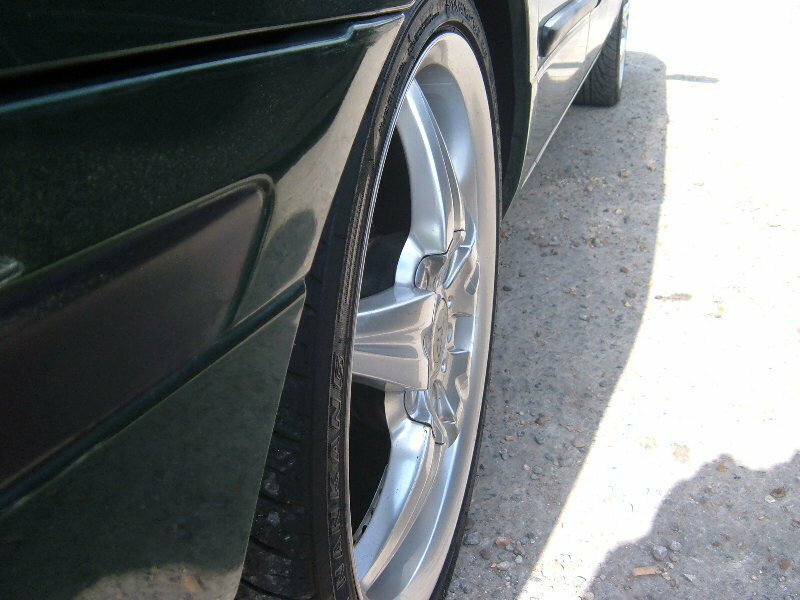 Was it inspiration from seeing other members cars, that started you going down the modifying route? My first meet was at Winchester last year where I turned up in my standard Green Sri, (apart of course from the NPOC stickers). 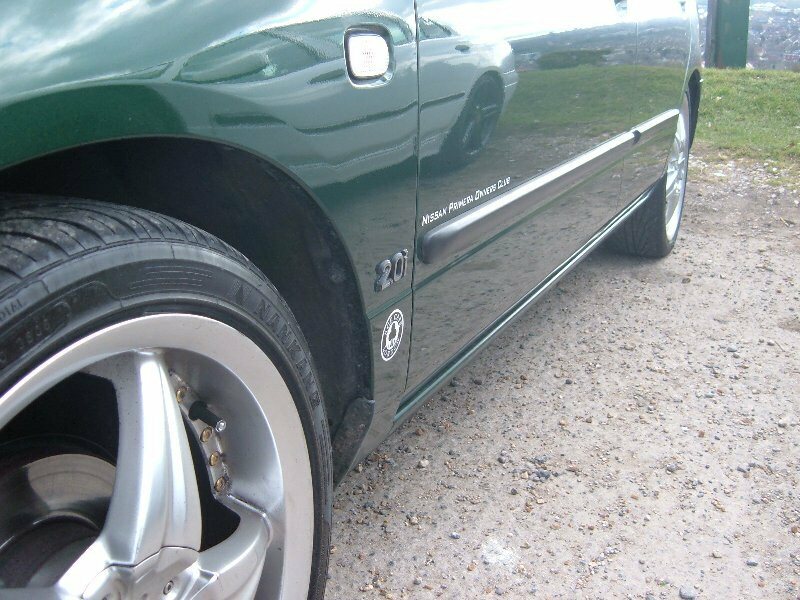 The other Primeras that turned up to the meet, were truly awesome and I saw soooo many mods that I loved straight away and decided there and then, that I would do something small, to make my car slightly different from standard! It was also there that my first 'real' mod was done and it was actually Shaun that did it - My Blue blinky on the dash! So in a way it was all essNchill`s fault! So now that you've had to eat your baseball cap (was it nice?) 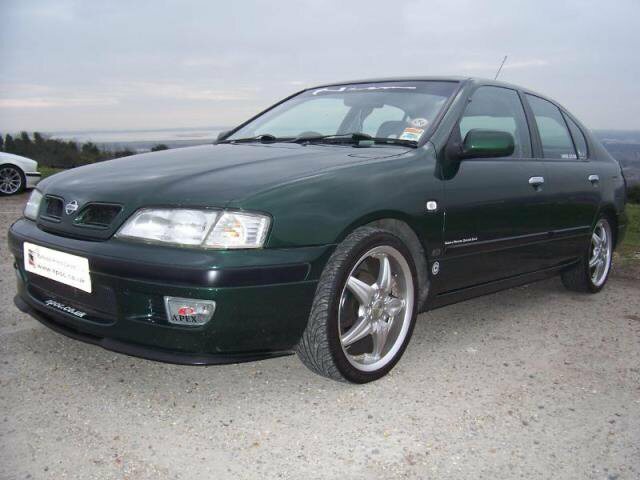 - Please do tell us the full spec and mod list on your mighty Primera Sri. What's your favourite modification or after market part to date? 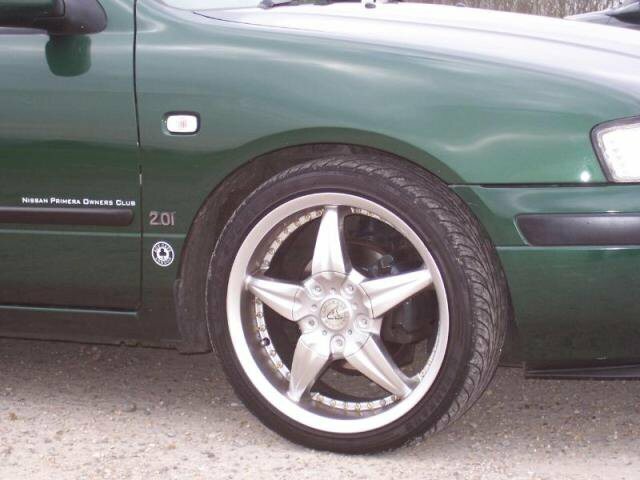 It has to be my alloys. They were the very first mod I saw at that Winchester meet too, when Sluffer pulled up next to me in Fleet Services - I noticed them on his lovely 10 and thought `wow` they are awesome! I couldn't believe it when a few weeks later he put them up for sale on here. It was definitely a case of HAD to have them! Any more plans for your Nissan Primera, any squirrels we can squeeze outta you? I'm not gonna mod my car any more...... LOL! But.. I expect a stainless system will be one of the next things I opt for and I have a short shifter coming through the Group Buy on here. Other than that who knows, as none of my mods so far have really been planned, they just happen! You've been a regular face at lots of club meets since you joined NPOC. What's been your favourite club meet so far and which one are you most looking forward to in 2009? JAE 2008 was definitely the best weekend I've had in ages, the people, cars and weather were just outstanding! This year I'm looking forward to Anglesey, Japfest, JAE, Ace... And all the others in between! To finish with, the comedy (semi serious) quick fire question round! Tell us your favourite NPOC car - There are so many... But my all time favourite so far has to be Matt Blues GT! It has a look about it that I love and hopefully haven't copied too much!! Many thanks for taking the time to let us know all about you and your car Paul. 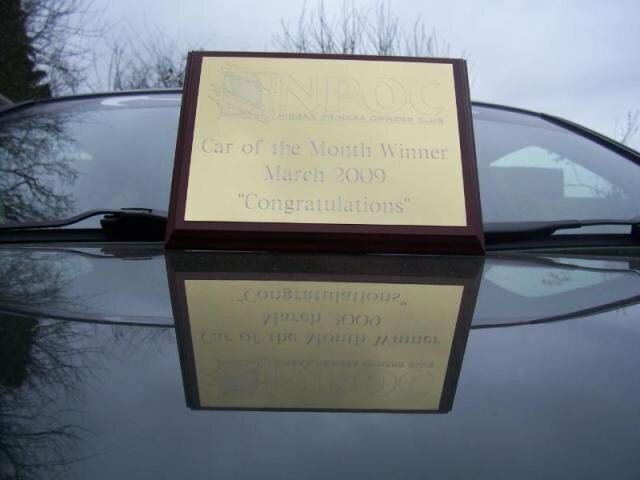 Congratulations once again for winning Car Of The Month for March 2009! Please take centre stage and tell us your thanks and anything else, you want to close this feature with. Thanks go to Nissan for making a truly awesome car in the Primera and to everyone in NPOC for help and advice on the forums and everyone who has supplied me with parts so far and last but not least to the club owners for running a brilliant club! Congratulations once again to Paul / Dave & Peter!